Written by Nicole Kohler on March 22, 2017 Blog, Customer stories, Physical goods. 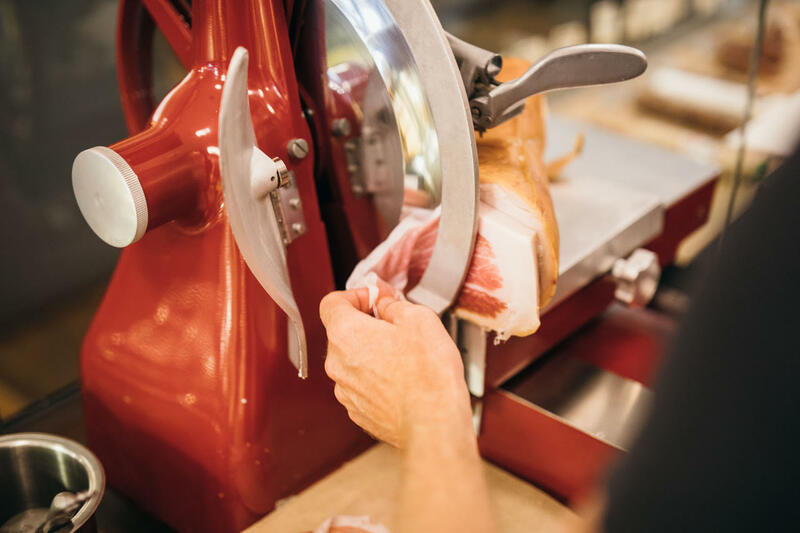 Venture to either end of Pearl Street in downtown Boulder, Colorado and you’ll find one half of the same treat: Cured, a shop that has set its focus on “preserving a personal connection to food” through the sale of fine meats, cheeses, wine, and other unique grocery items. Opened in 2011 by Will and Coral Frischkorn, a former competitive cyclist and graphic designer respectively, Cured has grown from a single store to a multi-channel business. Their team of 24 now operates two physical locations, an online store, and even offers catering plus courier delivery to hungry locals looking for same-day snacks or party supplies. 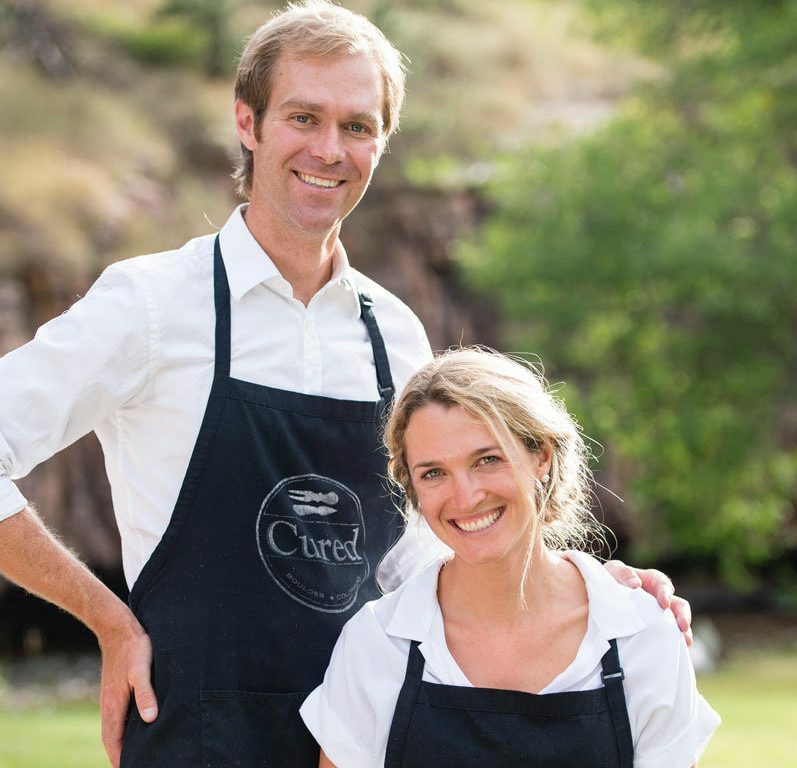 Meet Will and Coral, the proud owners of Cured, who were kind enough to share their story with us. We sat down for a chat with Will and Coral about how they’ve grown from a single store to a veritable meet-and-cheese empire, and their story is truly inspiring. 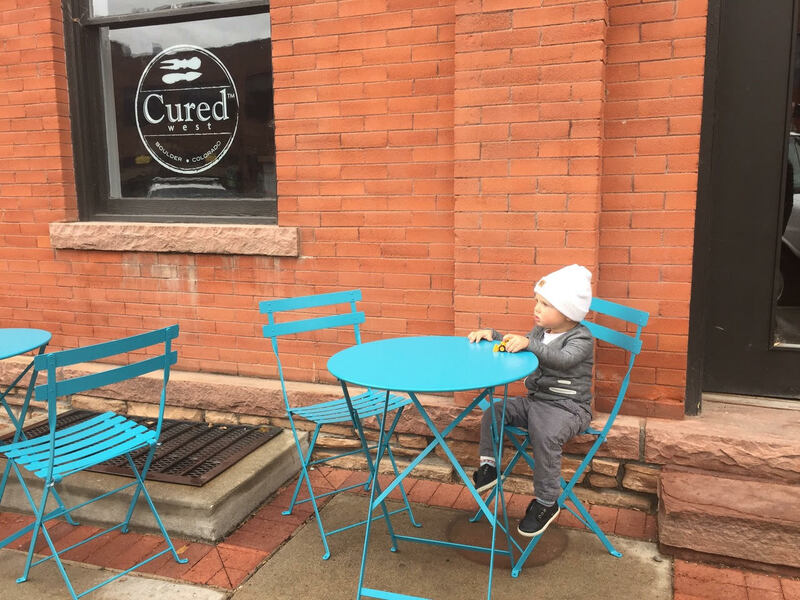 Have a read to learn about how Cured began, how they successfully began selling online with WooCommerce and Square, and what it’s like to run a business as busy as theirs. Prior to opening Cured, Will and Coral had been living in Girona, Spain, where Will had a career as a competitive cyclist. While living abroad, the two fell in love with the small local markets filled with fine meats and cheeses. Upon moving back to Colorado, the duo had the idea to form a business around this neighborhood market concept. According to Will, they wanted to bring this “personal, hands-on approach to educating customers about great food” back to their home in Boulder. 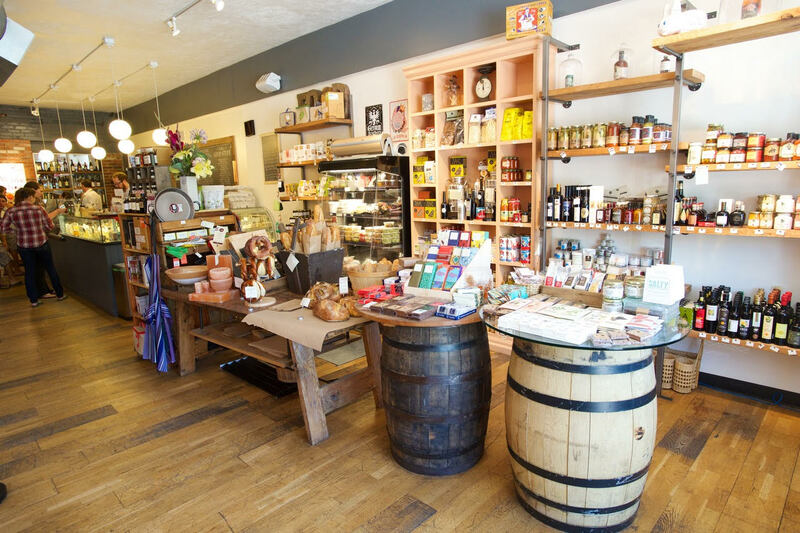 The inside of the shop, full of many delights from meats to chocolates to gifts for that special party you’re heading to next week. We were most definitely jumping off a cliff together starting Cured. The hope was that our collective passion for food and drink and our semi business-friendly brains would somehow make things align when the time came. The duo formally took the leap in 2011 with the opening of the first Cured location on the east side of Pearl Street in downtown Boulder. Our plan was for the two of us to be there most days along with a couple of part-timers and one full-time employee. That was instantly tossed out the window. But we felt so incredibly lucky to see the outpouring of support, and theoretically the validation of concept that goes hand in hand there. By the time the first holiday season came and went — Cured’s busiest time of year — the team was exhausted. But they also knew they had something with real sticking power. 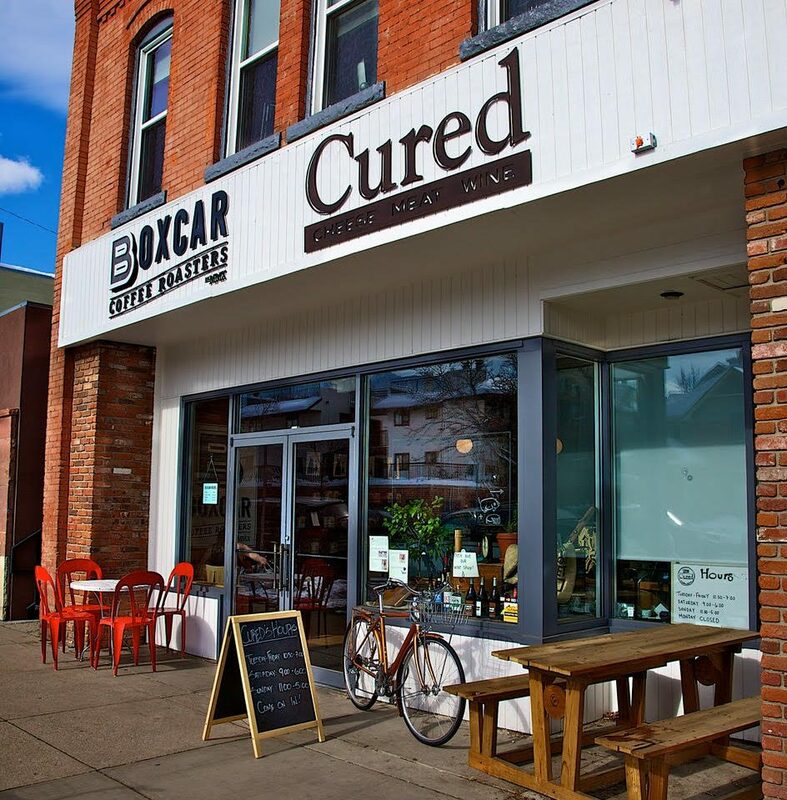 Cured’s location on the east end of Pearl Street, offering charcuterie and wine for every occasion. The Cured team grew quickly from there; at present there are 24 employees who split their time between store operations, order processing, and packing and shipping. As mentioned, the holiday season is busiest for the team, and so Will says it’s not unusual to find 4-5 employees devoted entirely to the shipment process during these late months. This growth has afforded Cured some amazing opportunities. Among those is the business’s second location, appropriately dubbed Cured West, which opened in late 2015 on 10th Street. Though the explosive popularity of Cured might have taken Will and Coral by surprise, it’s easy to see why their business has been a hit: ask them why they do what they do, and the passion leaps right out of them. There is nothing better than introducing someone to a new cheese or salami or wine that you’re in love with and watching them light up as they try it. Our business is still small and personal, and we’ve been lucky to cultivate some amazing friendships that started as interactions in the shop. The devotion the entire Cured team has to creating joy between customers and their food or drink is evident from the moment you set foot into either shop. And it also shines through on the Cured website, which was another big step in their journey. We sure are feelin’ #cheesy today! For a little while, Cured experimented with selling a few of their goods online with a PayPal account and a secondary checkout page, but Will noted that the reporting on this solution was a “pain” and that their backend order management was less than ideal. So they went searching for a better solution, and eventually stumbled upon WooCommerce. Coral, who worked previously as a graphic designer and we hear is “pretty handy” with WooCommerce, joined forces with a friend with development experience to build the store. The duo customized a premade WordPress theme to fit their needs, added some brilliant photography, and the rest is history. With the online launch, Cured was able to reach several entirely new audiences. The team found themselves serving locals who had heard of them but weren’t able to make it in, plus shoppers who simply didn’t have access to Cured’s selections in their area. It also helped them get even more press, though their accolades had already been stacked quite high at that point. Cured’s online store only carries a fraction of the inventory available in their two physical locations; Will says their small size and lack of resources have kept them from being able to add everything they sell, but they do plan to continue expanding their stock as time goes on. We largely focus on collections of items we love or gift baskets. Our bundles are suggested combinations of things we think make good gifts, or provide a way to stock a section of your pantry in one fell swoop. It’s a sensible decision, truthfully: customers shopping online don’t have the benefit of the staff’s expert in-person guidance, and so there’s less of a barrier to purchase if they can grab something already put together and ready to take to a party or serve at an event. Selling online allows for gift baskets and pre-selected packages to be shipped cross-country — and for further expansion of Cured’s profits. Honestly we are still playing with what works best, [learning] how to add suggested add-on products, recommend complimentary items, and more. WordPress and WooCommerce offer an incredible array of plugins and extensions, and it’s exciting seeing what keeps coming up that might be a fit for us. 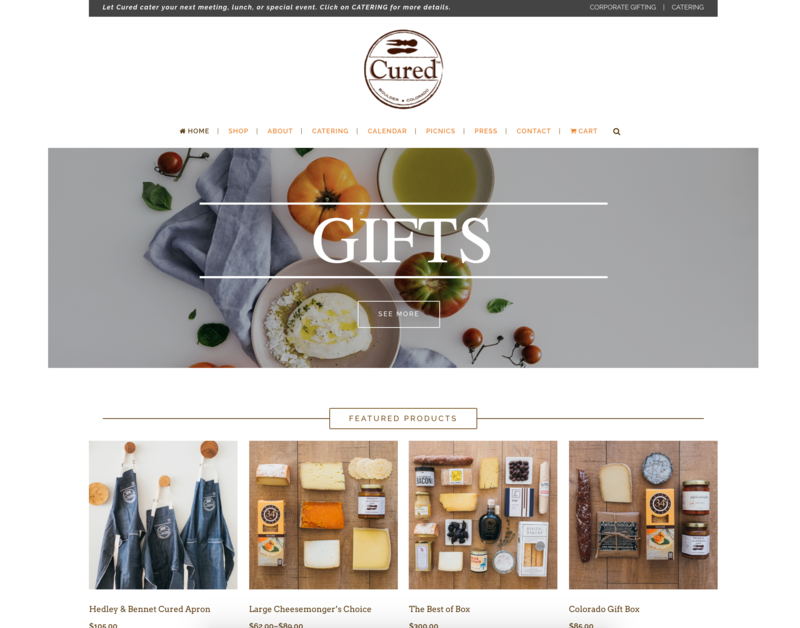 About a year after launching the Cured store online, Will and Coral came upon the (then newly-released) Square extension for WooCommerce. They’d been using Square POS in their physical stores for some time up until then, and were happy with the simple interface and intuitive, customer-friendly nature of it. The idea of being able to tie all of Cured’s inventory and payment processing into a single system sounded appealing, so the team moved ahead with purchasing the extension and replacing the payment processor they’d been using online previously. It was a smooth fit to integrate the two together. It has been really nice having everything run through one processor and back-end hub. Using the Square extension allows the team to choose an item that’s already set up for sale in a physical location and make it available in WooCommerce. Inventory and sales are tracked across Square as a whole, so there’s no risk of selling an unavailable item online (or in one of the two stores), and Will and Coral can see how well all their products are selling from a single location. The team’s love for food and solid grasp on inventory management aren’t the only reasons Cured is so successful, though. Will and Coral credit much of their success to their attention to detail, especially the moving parts their customers never see. [You should] think about all of the pieces of execution on the back-end, the bits that the customer never sees and should hopefully never realize exists. How do you package safely, get things out the door quickly and easily, or ensure that when a box arrives on a doorstep that it looks like a present from the second they see it? 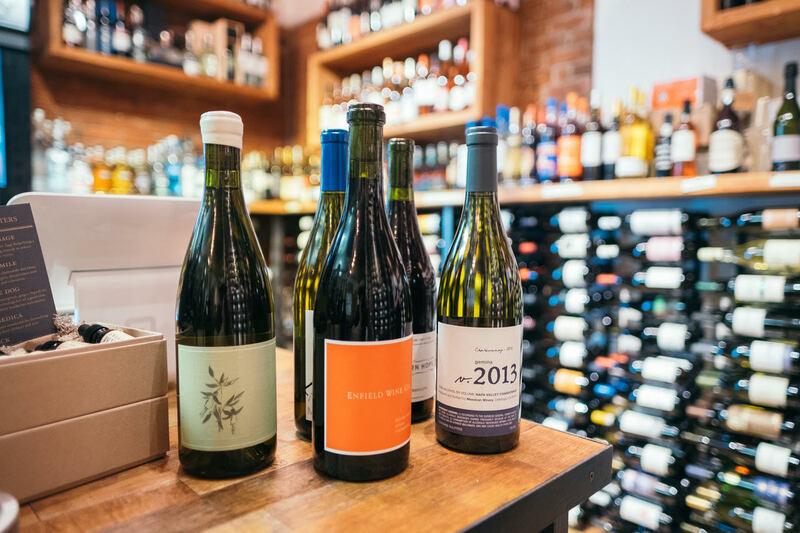 Will and Coral want their customers to see wine, not the shipping process that goes into delivering the bottles unbroken or getting their order out the door on time. Basically — mind the little things, don’t leave any gaps in the execution that the customer will notice. If you do the hard work to create a seamless experience where orders show up on time, packaged neatly, and consisting of the right items then you’ll leave no room for anyone to wonder about anything other than when they’ll be planning to come back and visit you next. It’s very much worth the time to talk to a number of shipping companies and negotiate rates. You won’t have much wiggle room at first, but let them know what you’re doing and what you’re hoping to do in the future, and come up with a pricing structure that hopefully rewards that. Customers are certainly willing to pay for fresh food shipped across the US, as Will and Coral have learned, but only so much. Negotiating better rates has helped them keep their customers happy while also sustainably growing their business. The Cured team spends quite a lot of time putting personal touches on all they do, from their website (currently managed by Coral plus another full-time employee) to their two stores to their catering arm, and even local deliveries (made thanks to the Denver Boulder Couriers who take gift boxes out via bike). For us, there is nothing more rewarding than getting an email from a customer, or somebody who received a gift in the mail, who was thrilled with what they have in their hands. We’re truly inspired by how Will and Coral turned a love for neighborhood markets in Spain into a beautiful business thriving both online and off — and we hope you’ve been inspired, too. Who knows, maybe you’ll be the next business we write about right here on our blog? Have any comments for us or the Cured team about their story? Leave a comment below, we’d love to hear from you. WooCommerce and Square have teamed up to offer merchants an integrated solution to take payments online and in person. Using Square and WooCommerce, you can easily create a beautiful store, take payments in person and see all your sales in one place. Visit Square.com to sign up. * Limited time offer valid only for new Square customers and is not transferable. Waived processing fees are reimbursed to your account on each deposit. ** Extension must be purchased separately. Amazing! A life lesson and a success! Thank you for sharing!